After my days in Mostar I feel at a loss for words. I’m not sure if it’s possible to describe the conflict I feel for this small town in Herzegovina. On the one hand, it’s one of the most beautiful cities I’ve been to. Mostar immediately took my breath away. The view of the old bridge from the minaret of the Koski Mehmed-Pasha mosque is one of a kind. It’s looks like the painted backdrop of a fairytale. Old stone buildings dramatically hanging over the cliff side, dropping down to the river below. The old bridge, arching 24m above the icy currents, is one of the most perfect postcard settings I’ve seen in Europe yet. 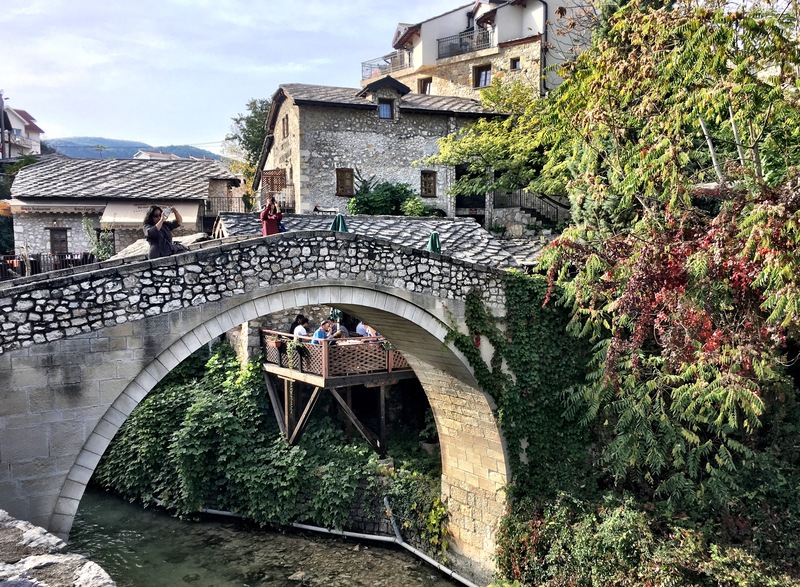 The old town is bustling with markets and restaurants, locals sit all afternoon in coffee shops, drinking Bosnian coffee and chatting with friends in the late October sunshine. It’s so perfect. But this is just the surface of the city. 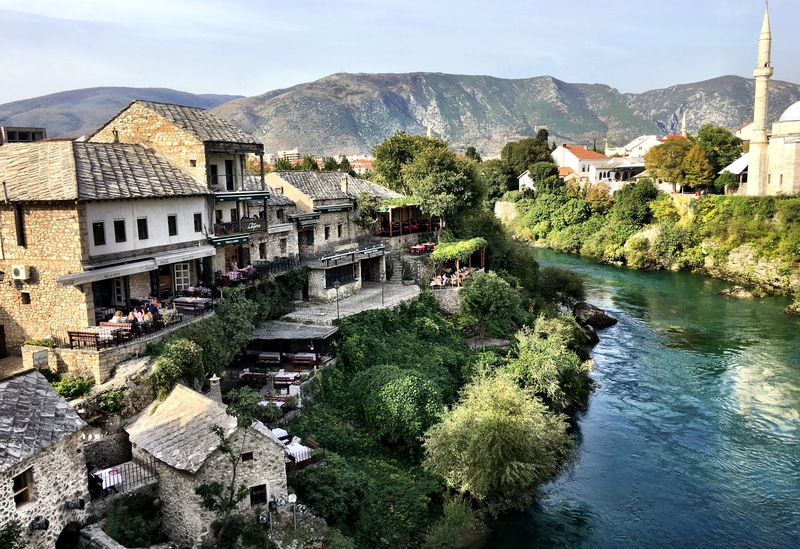 This is the image that is set for those of us passing through: day trippers, tourists, backpackers looking for nothing more than to eat cevapi and seek the adrenaline rush that comes from jumping from the bridge, 8 stories down into the Neretva River. I wish so much that this was the real Mostar. I wish that this idyllic, post-war image that we were presented with was honest; that people drink coffee on sunny terraces because they have found the meaning of a life well lived, instead of being forced to due to a national unemployment rate of 47% (75% among young adults). Or that the abandoned wreckage of homes on the frontline, now overgrown with ivy, is an eerily beautiful reminder of the past, instead of a forgotten, needle-ridden dump that may never be rebuilt due to a corrupt government. Mostar has layers; and if you are willing to peel back the facade, there is a dark, almost hopeless truth to it. I don’t think I’ll ever fully understand what happened here. The deeper I get into Bosnia, the more I learn. And the more I learn, the more confusing it all gets. I am addicted to figuring it all out: googling, reading, talking to locals. I’m sure I’m nowhere near the truth. If you ignore the tourist information, you get the sense that, 22 years later, the war still isn’t over in Mostar, especially among the younger generation. The divisive lines that have been made are hard to break. 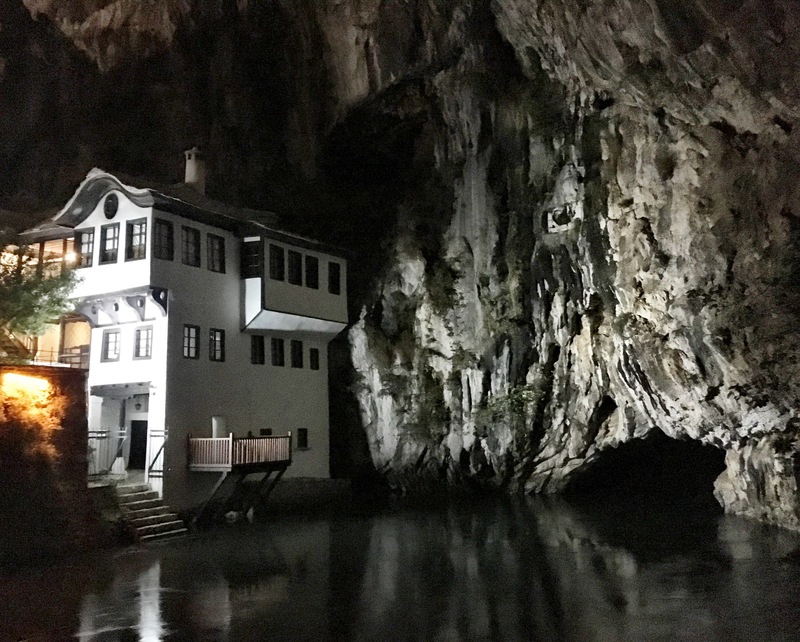 The very identities of people in Mostar divide them. Croats, Bosniaks and Serbs refer not just to nations (Croatia, Bosnia and Serbia) but they are synonymous with religious heritage as well. Croats are Catholic, Bosniaks are Muslim and Serbs are Orthodox Christian. And yet, it seems many people of Mostar are only religious by heritage. If your grandmother was Catholic, you are Catholic. If your Grandfather was a practicing Muslim, you are a Muslim. The very names of people give away their heritage, and so, there is no escaping your chosen identity. The phrase “the other side” is used so casually in Mostar, it’s innate. One side is Croat, the other is Bosniak. One side is Catholic, the other is Muslim. The boulevard is the distinct dividing line, and although guides will tell you the war is over, locals will tell you that, 22 years later, they still do not cross those lines. It’s hard to know what to believe. Their is an air of paranoia in the city, but it’s hard to see the truth as an outsider. I take everything both sides say with a grain of salt but regardless of which side of the frontline you belong, the story is the same; the troubles are far from over. 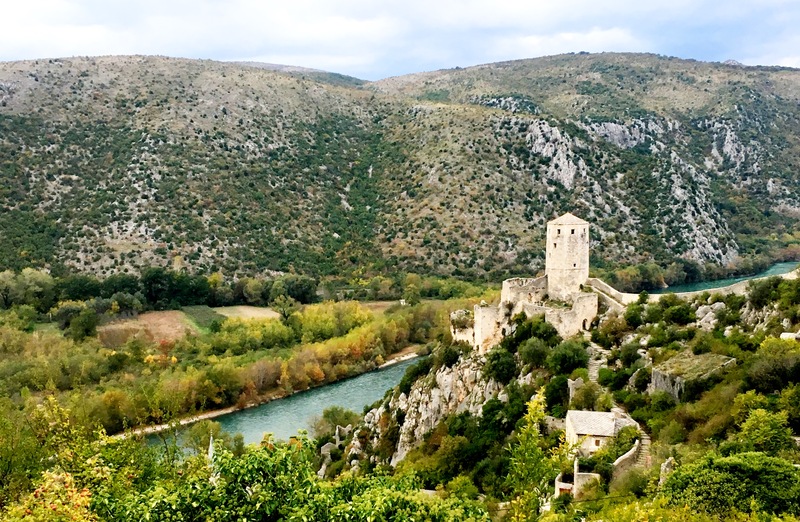 Jodon and I spent 12 hours travelling the Herzegovina region with a local Bosnian man named Bata. A large man with a thick neck and a “cevapi belly,” as he calls it, Bata is a communist at heart. He longs for the “good ol’ days” of Tito’s reign over Yugoslavia: things were better then. This is a popular opinion in the country. 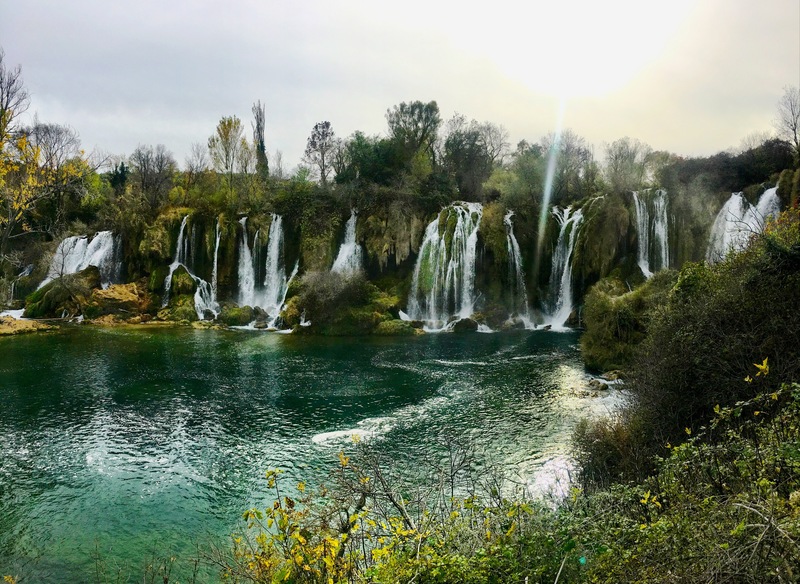 Bata took us to the Kravice Waterfalls, the medieval town of Pocitelj and the Blagaj, a 16th century Dervish house just 30km from Mostar. But the trip was not about seeing the attractions. Along the way, Bata told us his story. His story of being a young man, thrown into civil war; of losing best friends to “the other side”. The story of being defined by a religion he did not practice. The story of the people that risked their lives to save him from the firing squads of a concentration camp, to smuggle him in an ambulance out of the country, and to be sent as a refugee to Sweden. 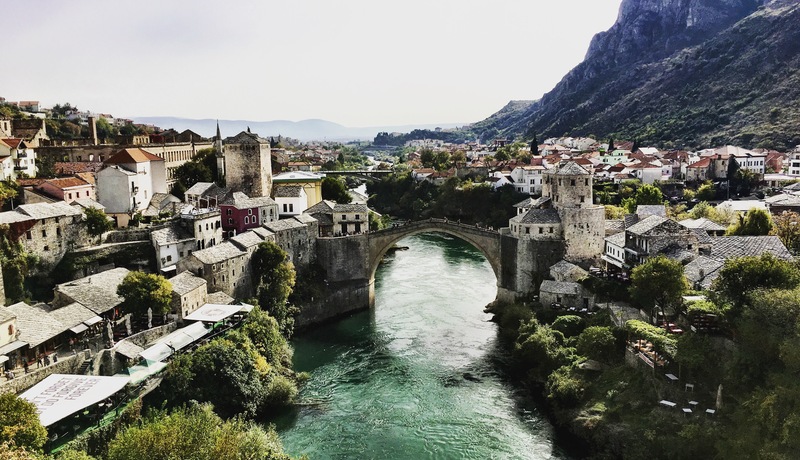 Bata told us the struggles he had to face returning to Mostar 14 years later, the therapy he’s had to endure, and the prejudices that still run so deep within the city. Bata is crazy; he’ll be the first to tell you. He is unapologetically loud, drives like a crazed madman with a few loose screws and has an energy that never slows. He is wild, and breaks loudly into song at random intervals. He spends more time speeding down the middle of a two-laned road, with his hands off the wheel, looking in the rear view mirror than not. He thinks seat belts are for SNAGS (Sensitive New Age Guys) and if you’re not afraid (mostly referring to his driving) then you’re not living to the fullest. And yet there is something wonderful and lovable about Bata. When you look past his eccentricities, you can see a man trying his best to come to terms with the atrocities of his life. A man trying to bring together his city with communal love. He dreams of a pre-war existence where 60% of all marriages were inter-religious. Where Croats, Serbs and Bosniaks lived together as one community. The world will tell you the only troubles that remain in Mostar are political. I want to believe this; that the war is over and Bosnia is beginning a new era of peaceful independence. But with Bosnia’s government now split into three religious groups, that utopia is hard to imagine. The Croatian government has given money to aid and rebuild the city of Mostar, but only on the Croat side. New malls, new roads and new schools are built while the Bosnian side of the tracks remains war torn. And all the while the tensions between the two sides grow stronger. We met a young Muslim man in a local pub one evening who was eager to tell his story. “No one goes to the other side,” he said nonchalantly “they will kill us.” Then he lifted his shirt to show us the long-healed stab wounds from a knife attack he endured after “crossing over” one day. We’d heard the same story from two young Croat teenagers just two days earlier and took their tale to be exaggerated stories kids tell tourists. I’m still not sure what I believe. 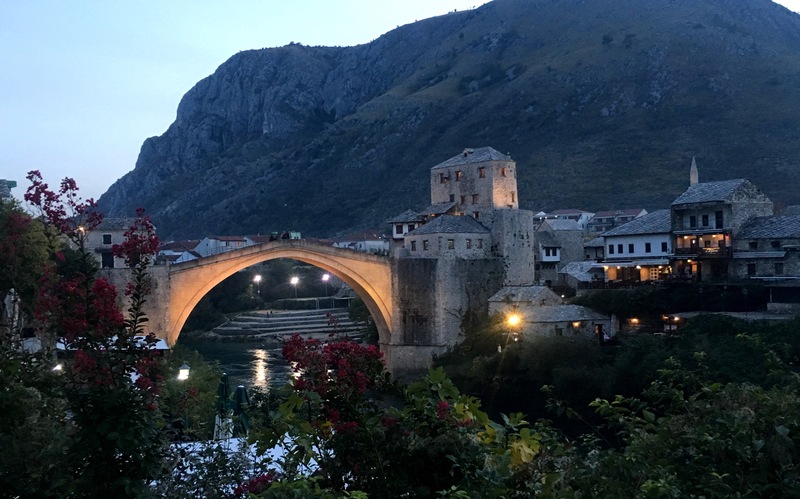 And yet, the city of Mostar carries on; tourists come and go by the thousands, taking photos of the old bridge and buying trinkets in the market, oblivious to the realities. And Bata’s Crazy Tour continues, every day, passing on the truth to those who are willing to listen. 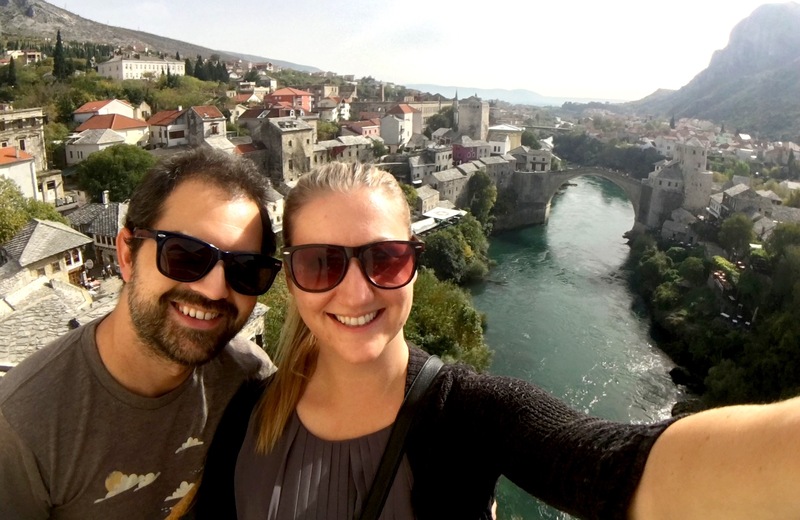 It’s been three days since Jodon and I left Mostar, but we will never forget the truths we found there. We’ve spent hours watching documentaries, and researching the facts we were told, trying to find some meaning behind it all, some hope for the future. But in the end, I guess, only time will tell. 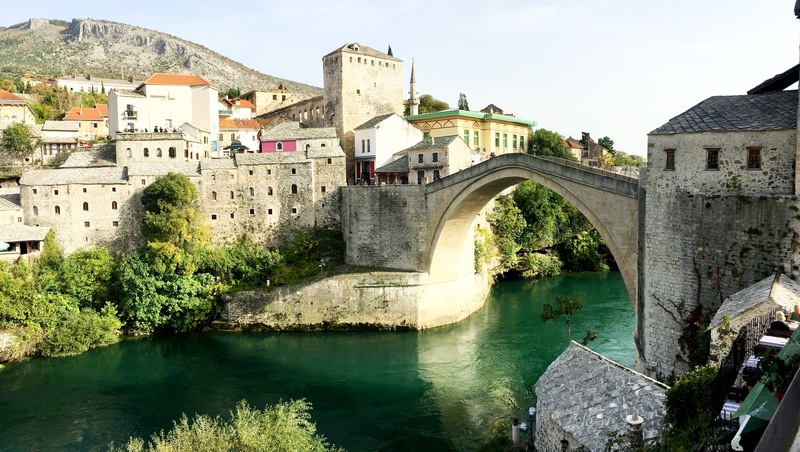 This entry was posted in Bosnia and Herzegovina, Europe and tagged Bridge, Mostar, Peace, Religion, Travel, Truth, War by hilarylust. Bookmark the permalink. What a beautiful little city! I had never heard of it. Beautiful photographs – haunting story. Well done on the writing, better still on the observations.